This review is about item#6589983. I am always using it, but there are times when I can not use it recently. The first one in 5 bottles also used it this time as soon as it was useless. The second one is in good condition. If you buy it normally, it is hard to get rid of it soon because it is close to 2,000 yen. There was not this before. Although it is a slightly changed purpose, it is attached to the ruther and it is used for cleaning the hole of the solder suction machine. 10 sets are also helpful. Because it is a business, it is very useful. This review is about item#6589405. It is useful because it has performance higher than price and high cutting ability. It is very convenient because it enters 10 pieces. This review is about item#06589292. 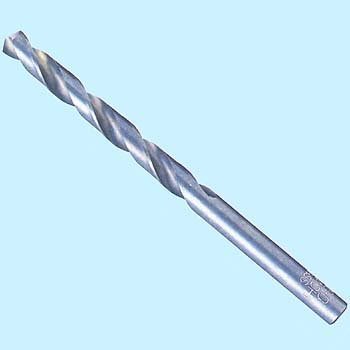 I always purchase NACHI made for drill. There is no trouble in work. This review is about item#6589554. This review is about item#6589493. In the case of shallow holes compared with imported items there is not much difference, but there is a difference in deep hole processing. This review is about item#6589877. I have been using this product for a long time. Including 0.3, 0.4, 0.5, etc., sharpness is also sharp, it has a stickiness of the blade and it is useful. This review is about item#06589353. Pocking pockets often break. Obviously the quality is getting worse. This review is about item#06589703. Since NACHI's goods are necessities of work, it is appreciated if it can be bought even cheaply. I want a little strength. I am using it for sharpening. This review is about item#08661423. The goods themselves have been using NACHI (Fujikoshi) made from long ago, but it is not bad. Chips from other companies will be chipped on the edge of the hole, but since this does not come out, I purchase it frequently. I think that I think a little as it has risen considerably since this time. This review is about item#06589554. This review is about item#06589335. Can be used without problems. This review is about item#06589301. I always use it. It keeps using NACHI's products and there is no problem. This review is about item#06589317. It is useful because it has good cutting edge. I will also purchase it next time. This review is about item#06589371. I used it for work to drill a mounting hole in a steel parapet with a signboard installation work. Thank you very much for sending us soon. This review is about item#06590351. This review is about item#06589414. Nazi's drill has been used for a long time, but it is better to have a blade than other companies' drills. However, we are punching thousands of steel materials 18 mm thick, so we hope to make the length of the blade a little longer. This review is about item#06589475.